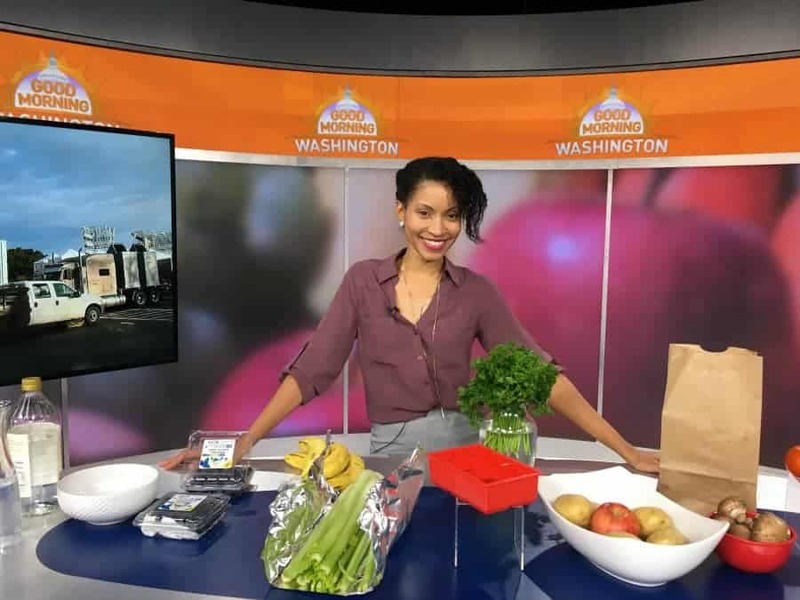 So the other day, I was in the kitchen searching around for something for lunch. Since bread is no longer part of our routine, I had to get creative. After searching around in the fridge for a bit, I saw it. Eggplant. 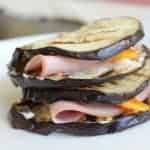 For some reason, making a sandwich from fresh eggplant sounded pretty normal and a great idea to me. 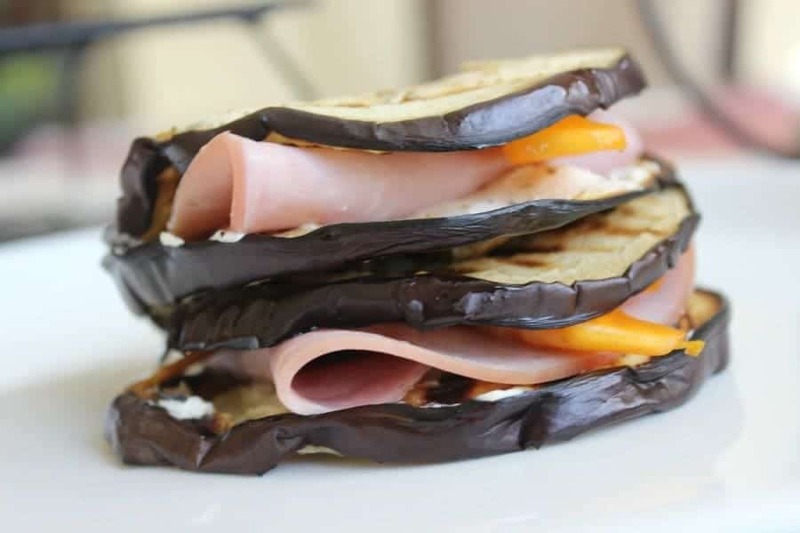 So whether you’re gluten-free, paleo, eating healthy or just plain hungry…let me tell you how to whip up my grilled eggplant and turkey “sandwich”. 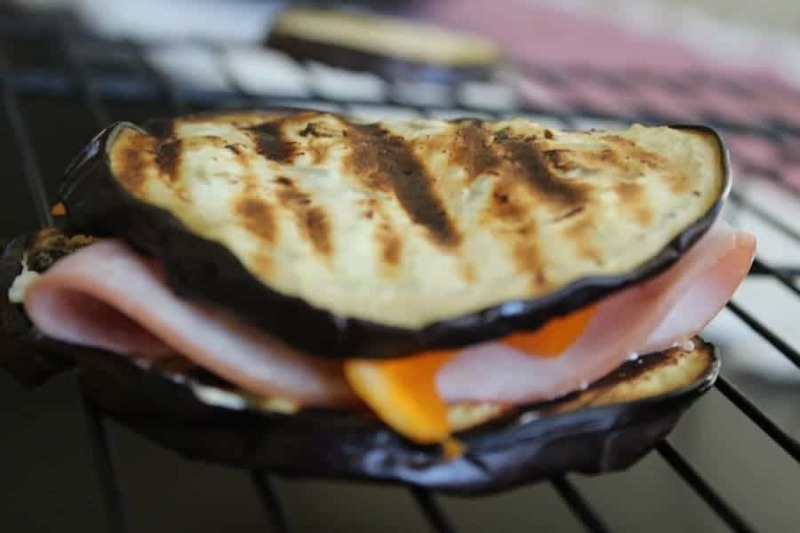 The key to making this eggplant work as a sandwich topper is keeping it dry before grilling except for a light coating of coconut oil on the grill pan. 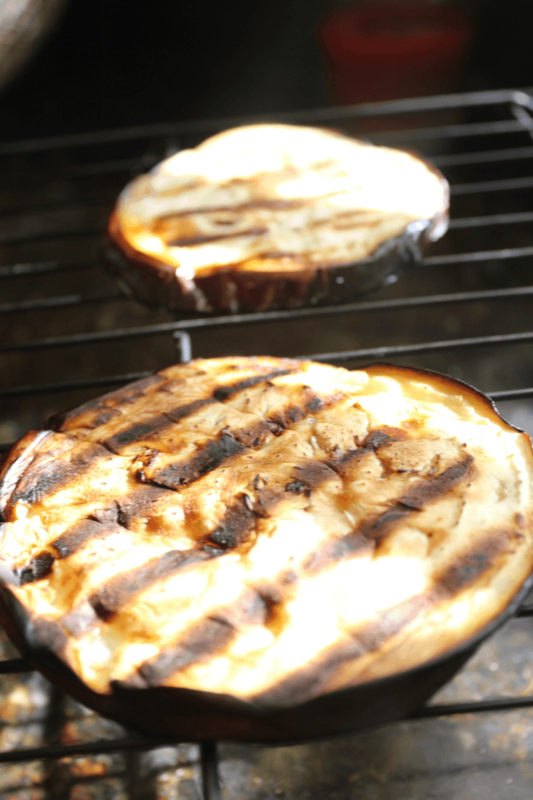 Just grill slices of eggplant on the skillet until desired marks are achieved. 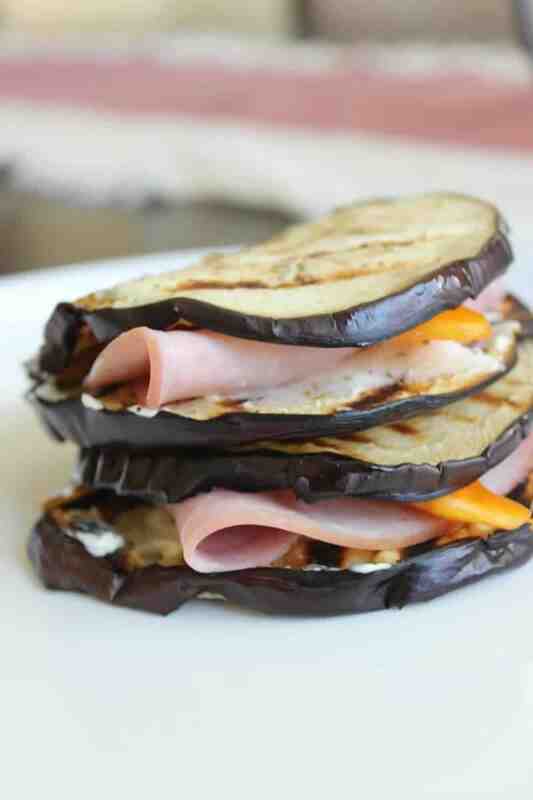 I left the skin on these eggplant sandwiches but, if you prefer not to, you can take them off. My kids did find that part more tedious to chew. After that, a modest smear of cream cheese, turkey and crispy fresh peppers make a nice balance of textures of flavors. 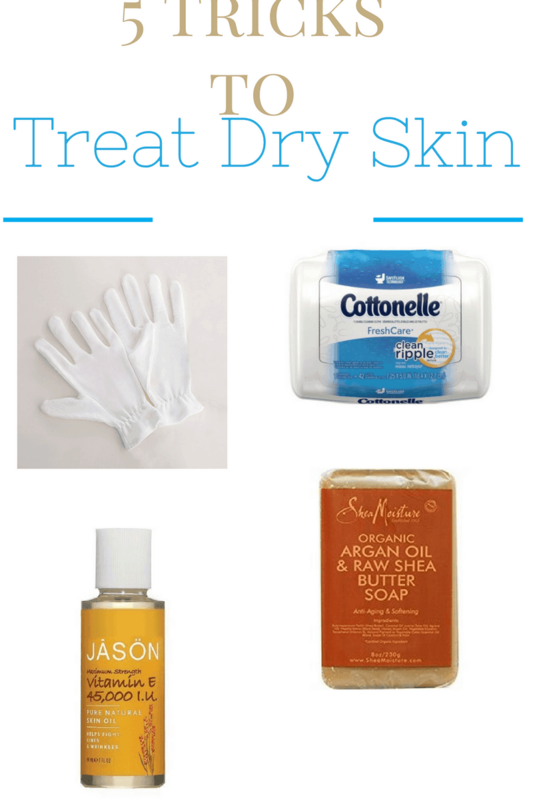 Initially, I was going to go with one layer of this delicious combo. It wasn’t long before I was piling it high. Eggplants are a low in calories, high in antioxidants, are nutritious and quite affordable. Fiber, potassium, folate, manganese, copper and b vitamins (b3, b1 and b6) can all be found in the purple power. For another spin on eggplant, try my eggplant and sausage stew recipe. 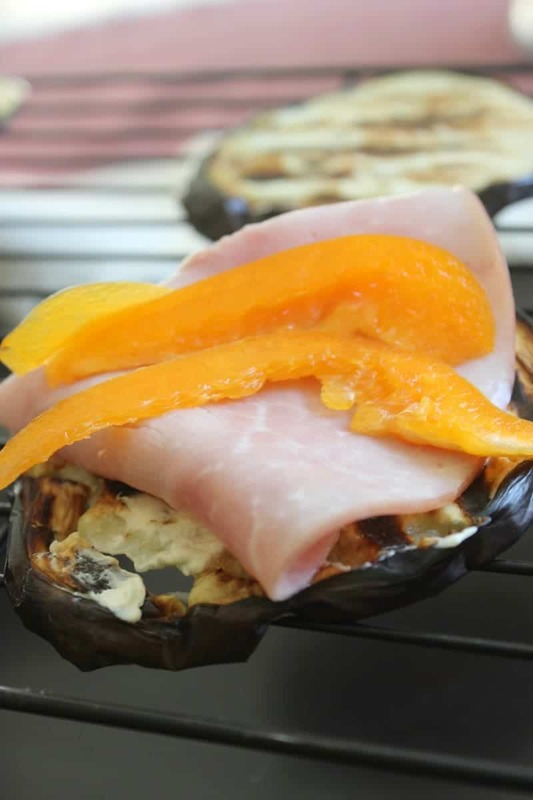 A sandwich made with turkey, peppers and other good things on grilled eggplant. 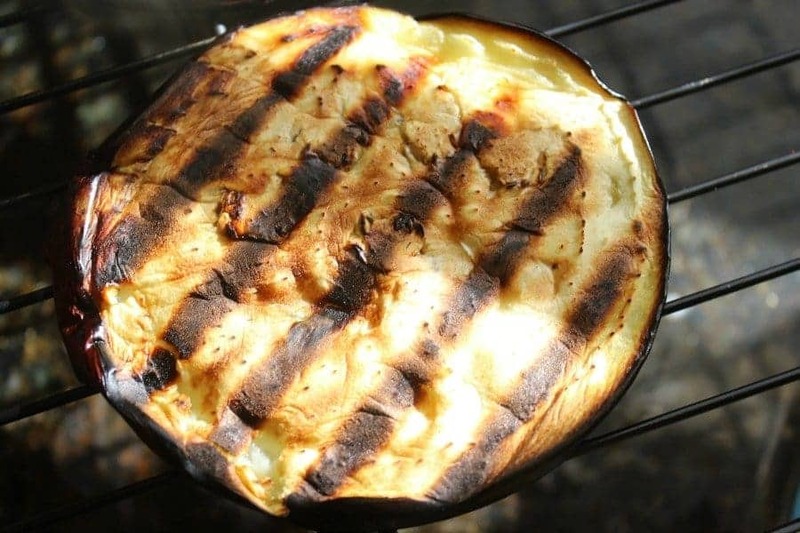 The only thing that’s missing is the bread. Your photography makes eggplant look delicious! J/K I actually like eggplant. But your photos close the deal. Thanks for sharing. Oh, you’re a rare gem indeed.